This post represents the first installment in a new category that we hope will be an occasional feature of our blog. 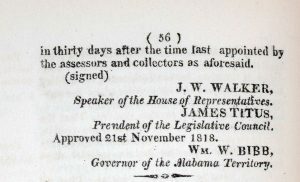 Posts in this category, 200 Years Ago in Alabama, will feature items of interest from Alabama’s past in anticipation of the state’s upcoming bicentennial celebration on December 14, 2019. 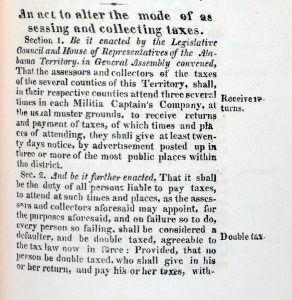 As tax day in the United States draws near, Litera Scripta highlights a territorial act that defined the assessment and collection of taxes 200 years ago in Alabama. 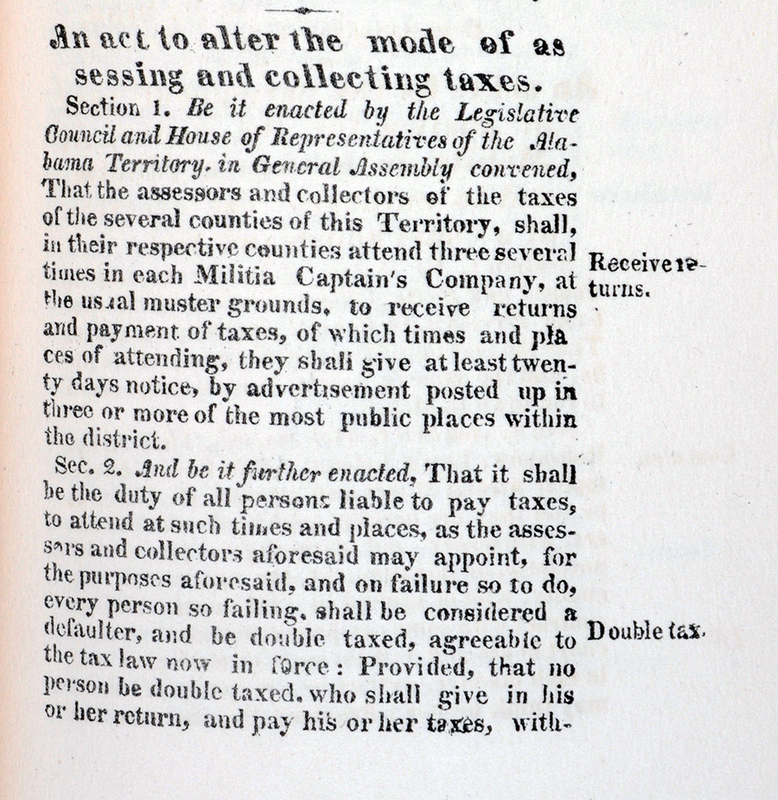 Fortunately, the 1818 act does not reflect the method of filing taxes today. It is interesting to note the “double tax” assigned to late filers and defaulters! 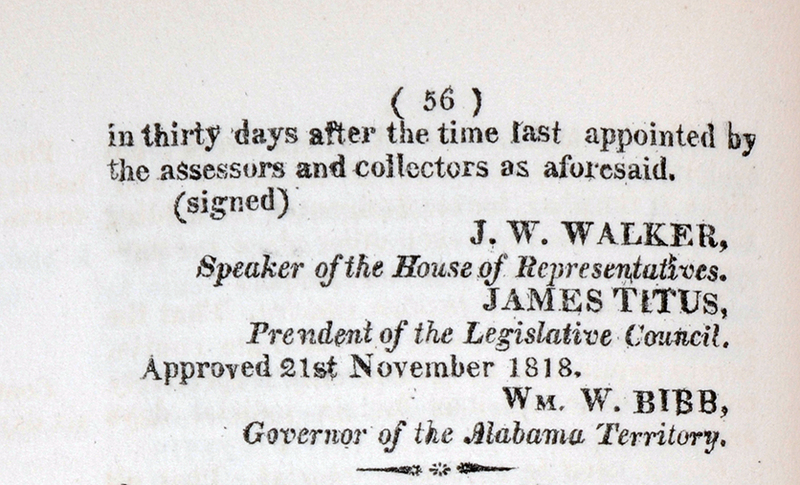 Acts of Alabama, 1818, 2nd Session, 55-56. “An act to alter the mode of assessing and collecting taxes” was approved in the second session of the territorial legislature and represented a modification of a similar act during the first session.